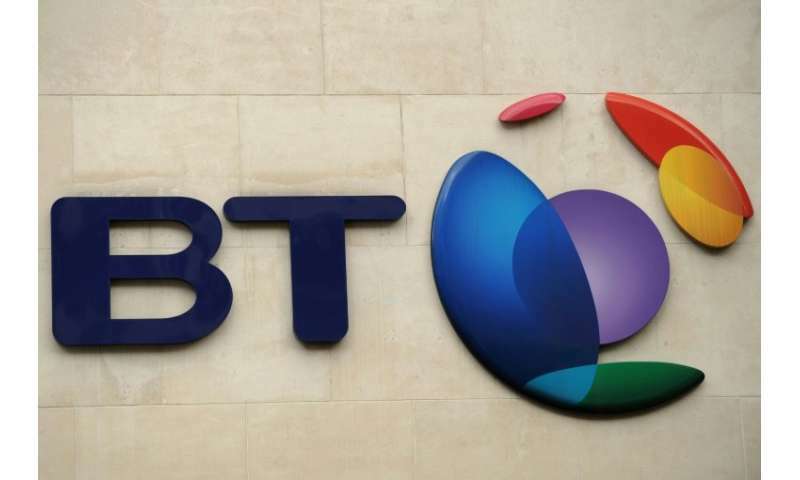 British telecoms and television broadcasting company BT announced Thursday that it will axe 13,000 jobs in administration and management. BT said in a statement alongside its annual results that it will shed the jobs over the next three years as it seeks to slice off an extra £1.5 billion ($2.0 billion, 1.7 billion euros) in costs. The latest revamp will mainly affect back office jobs, or support positions that tend to be based outside London, and middle management roles. It will however seek to hire around 6,000 new employees for customer services and network deployment. The London-listed giant also plans to exit its global headquarters near St Paul's Cathedral in London's City finance district. BT, which possesses Britain's leading fixed-line and mobile access networks, has in recent years launched a costly push into broadcasting live Premier League football matches. "Our integration and restructuring activities remain on track," said chief executive Gavin Patterson. "Our strategy will drive sustainable growth in value by focusing on delivering differentiated customer experiences, investing in integrated network leadership, and transforming our operating model." Thursday's latest announcement is part of an ongoing overhaul, under which it had already axed 4,000 jobs last year. BT had a total of 106,400 employees according to its most recent 2017 annual report.